Welcome to Xpertise Cruise Travel! With so many cruise travel options out there, it can be overwhelming. We work as your lifestyle, preferences and value interpreter. Using our Xpertise, we identify amazing experiences that exceed your every desire, but not your budget. With Xpertise Cruise Travel, you can be confident that your cruise vacation will be perfectly planned, hassle free and filled with moments that you’ll never forget. 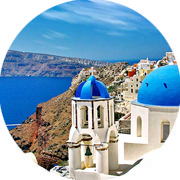 Why Should You Choose Xpertise Cruise Travel? - we are there for you - a real person - imagine that! Kerry & Nancylee are Cruise Line International Association (CLIA) Elite (ECC), Master (MCC) and Accredited (ACC) Cruise Counsellors and business owners of Xpertise Cruise Travel in Trinity, FL. 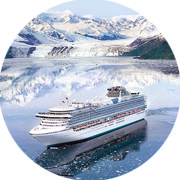 With over 30 years of experience, specializing in cruise travel advisory services; we offer the perfect mix of knowledge, customer service and Xpertise necessary to plan cruise vacation experiences of a lifetime based on customer lifestyles and personal preferences. 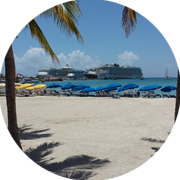 Cruise vacation planning is in full swing for many couples, families and senior citizens. Over 90% of travelers that have experienced a cruise vacation continue to cruise time and time again to visit familiar destinations or to travel somewhere they’ve never been before. With rising costs for just about everything from gasoline to food it pays to plan in advance, but after adding up the costs of a land-based vacation including airfare, rental cars, hotels, dining and entertainment, a vacation getaway can run thousands over budget. Cruises continue to provide vacationers the best all-inclusive value offering a wide variety of entertainment options for all ages. Before planning any type of vacation many believe that it pays to shop around for their selves on the internet, but that takes time on the consumer’s part; something we’re all short on these days. Here in Trinity, the best place to get the knowledge and the customer service that you deserve is Xpertise Cruise Travel. We make ourselves available to you on an appointment basis at times that are convenient to your schedule. Most people find it more convenient to discuss their plans for a cruise vacation during the evenings and over the weekend due to competing work schedules and other commitments. There's no need to make special arrangements during your busy day to drive to our office or to take time out of your lunch hour. “After having booked our own travel for years, we decided to work with an experienced cruise consultant for added convenience and selected Xpertise Cruise Travel. We not only got a wonderful travel agent, but a travel concierge who takes care of everything from bookings to all the small details that go into making one’s travel plans complete. - Peter J. & Wayne G.